Overview: Short and sweet this week, the blog that is, not the wine. The Frankland River in Western Australia has been overshadowed by the better known Riesling regions such as the Eden and Clare Valleys. However, you only need to look at wines like this one to see that the Frankland River deserves to be recognized as a great Australian Riesling region. This wine is typically elegant, dry with subtle fruit and minerality. Criminal at this price. It’s not just about the Valleys. Tasting note: Elegant nose, aromas of Granny Smith apples and talc. All the usual characters on the palate, typical Riesling flavours of lime juice, sherbet and stone-like minerality. Bone dry with great length and fruit purity. Final Say: A guaranteed winner to stave off spontaneous combustion in this heat. $13-$18 a bottle. Great for seafood, light chicken dishes or just on its own. Overview: ‘Tis the season to scramble around frantically with the hordes, pointing at useless objects such as a vase that doubles as a fully functioning dinosaur robot yelling in pure panic, ‘Do you think such-and-such would like that?’ ‘Tis the season to fumble around on the internet buying presents from Bulgaria, hoping and praying that it gets here in time for Christmas. ‘Tis the season to put reindeer antlers on your pets and lower their self-esteem by forcing them to pose for you so that you can exploit them for your homemade Christmas cards. ‘Tis the season to put your feet up and enjoy a damn fine drop from Spain. Verdejo is an aromatic, elegant variety that matches well with seafood and light chicken dishes and is predominantly grown in the Rueda region of Spain. It’s a great alternative to varieties like Riesling, Verdelho and Semillon. Tasting note: A lifted, fresh nose which includes aromas of straw, peach and melon. On the palate there is the typical talc character with hints of white flesh nectarine and jasmine flowers. The finishes clean and flinty yet creamy at the same time. Final Say: Chill out, and have a glass of Verdejo. $26 dollars a bottle. Overview: Arneis is known as the ‘Little Rascal’ in Piedmont as it is a difficult variety to grow. It is as ‘Little Rascal’ to me because every time I type the word Arneis I, without fail, always spell it Arnies and then, through some kind of Pavlovian response I have to yell “Get to the chopper!” It’s a nightmare for me and anyone who is around me at the time. Arneis is a variety made famous by the Piedmont region in Italy and can be made in a number of ways, typically fermented in stainless steel and then left on ‘lees’, the sediment left by yeast at the end of the fermentation process, this lees contact adds texture to the wine. It can also be fermented in oak to give it a bit more body and complexity. 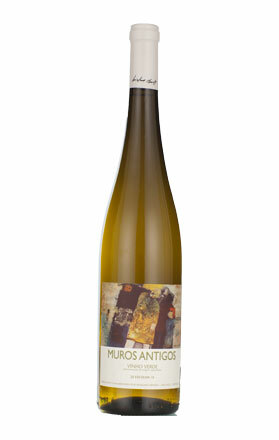 This Arneis was made in the latter style with another dimension of complexity granted by a ‘Wild Yeast’ fermentation. Wild Yeast is not some kind of crazy party animal as the name would suggest but the natural yeast that lives in wineries which can impart some very interesting characters that you can’t get from typical cultured yeast (depending on the species present sometimes Wild Yeast can be unpredictable). The gamble has paid off for this wine. It is one of the better Aussie Arneis I have tried. Before reading the tasting notes please take a moment to think of the people around me at the time of writing this review. Tasting note: A funky nose, pear and toasty oak. Pear on the palate, almonds, creamy with subtle oak integration. A very good food wine. Don’t bother cellaring this wine, enjoy it right now! Riesling is the darling variety for people in the industry, we all love it and are frustrated by the fact that the wider market place refuses to embrace this wonderful grape. Perhaps it’s like a maternal/paternal instinct, that we want to nurture the underdog, we want to see it succeed! In the industry we’ve recently seen winemakers experimenting with Riesling, trialling barrel ferments, wild ferments and lees stirring but I have always found that it is the purity of Riesling that makes it so appealing. Which brings me to this wine. 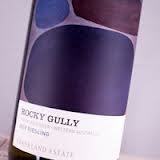 So pure it is that it should not be called Castle Rock Riesling but The Virgin Mother Riesling. Tasting note: Aromas of lime and granny smith apples, these characters are evident on the palate also and are joined by a saltiness and clean, austere minerality. The racy acid on the finish keeps this wine lingering for long after each sip. Final Say: So pure it’s holy. A great buy for $20 a bottle. Will develop over the next 2-6 years.